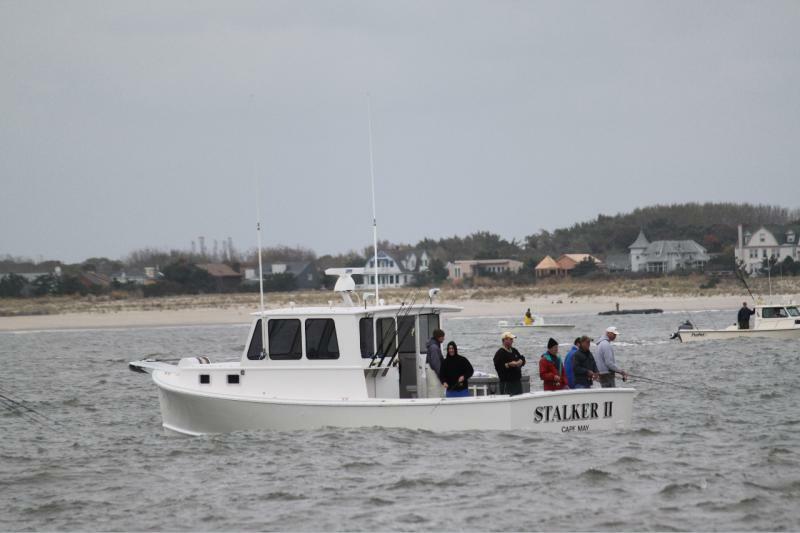 Stalker Fishing Charters - About Us Stalker Fishing Charters is a 7 day a week operation outof Cape May, NJ. We fish for striped bass, tuna, fluke,weakfish,blues and drumfish. If you come fishing with us we promise to give you the best experience possible. We thank all of our new & returning customers for your support and interest! 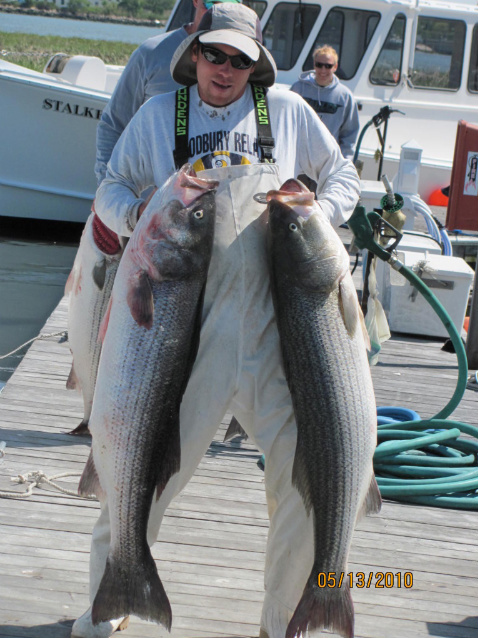 Stalker Fishing Charters is a 7 day a week operation outof Cape May, NJ. We fish for striped bass, tuna, fluke,weakfish,blues and drumfish. If you come fishing with us we promise to give you the best experience possible. We thank all of our new & returning customers for your support and interest! 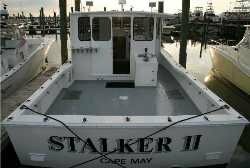 STALKER II is located at Snug Harbor Marina in Cape May, NJ. She is a 2008 34' Calvin Beal that was built in Maine. It is a custom made downeast boat that was built specifically for charter fishing. STALKER II is powered by a 490 Cummins turbo diesel engine. The electronics are state of the art including a 72 mile Radar and 3 GPS units! Everything onboard is to ensure a great fishing day as well as safety. Captain Skip Jastremski Jr has been fishing in the Cape May area for 30 years. He was born and raised in Cape May County and has experience with all types of fishing from surf fishing to offshore fishing. He worked as a mate on the Miss Cape May and has been the Captain of the STALKER boats for 14 years! His knowledge and experience on the water make fishing trips fun and sucessful! We understand that folks work hard for their money! So that's why we appreciate when someone books a trip with us! In these tough times we thank every single person that has continued to support STALKER FISHING CHARTERS! We'll try our very best for you!